that all of the couple’s property and assets are disclosed to each other. Often, the U.S. Citizen gentleman is most interested in a Premarital Agreement before his marriage to a foreign spouse in order to protect his U.S. property and assets. However, he has been required under federal immigration regulations to sign a Financial Affidavit of Support to sponsor his foreign spouse to the U.S. on a visa, imposing on him certain financial obligations beforehand. Thus, a Premarital Agreement under these circumstances calls for special care and consideration. 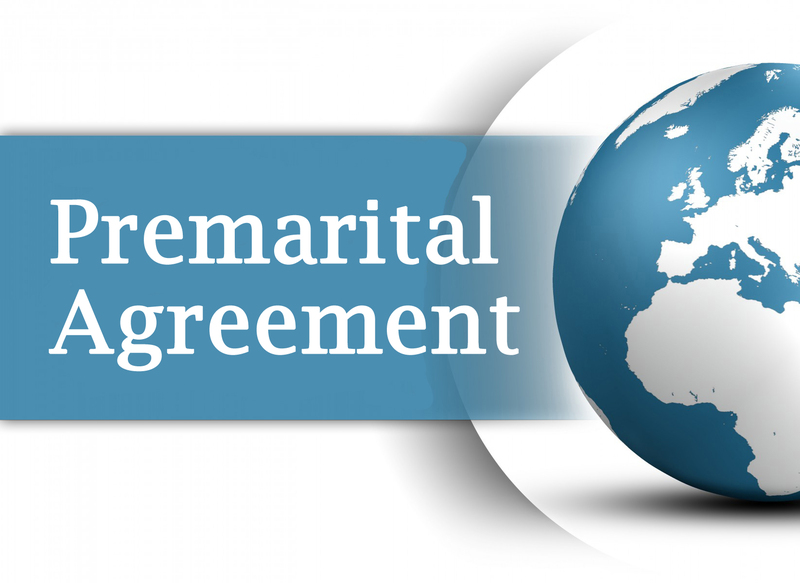 *Our Office offers: Premarital Agreement services to U.S. Citizens expecting to marry a foreign spouse. We will draft, prepare, revise and complete the Premarital Agreement in close consultation with the U.S. Citizen gentleman client. Careful consideration and discussion will be given to the applicable state’s legal requirements for a valid and enforceable Premarital Agreement. We will also handle the word-for-word translation of the document into the foreign spouse’s native language. Our Premarital Agreements are provided for signature word-for-word in two languages – English and the native language of the spouse. Our Office will suggest and utilize outside document translators who charge independent fees. *SERVICES LIMITED TO CERTAIN STATES: Because certain states effectively require that premarital agreements be prepared by local attorneys in the home state, Our Office only offer premarital services to couples in certain states. Please contact us for further details about which particular states Our Office can handle. *RELEASE AND WAIVER: Please note that our Services are only provided under strict Contract provisions which require legal release and waiver of liability of Our Office. *ADVANCE NOTICE: In order to have sufficient time to properly prepare and execute a Premarital Agreement, Our Office requests Advance Notice of at least 60 days before marriage. A Premarital Agreement costs money, time and energy, and may be appropriate for some U.S. Citizen gentlemen, but not necessarily everyone. The gentlemen who are more appropriate for a Premarital Agreement are typically in their late 40s, 50s, 60s and older, often with children from a prior marriage who they wish to protect. Usually, they have been divorced before, sometimes multiple times. They are concerned with high separation and divorce rates in many states. They might make significant income, and hold substantial property and assets. Thus, they might have substantial needs for income and asset protection in case of marriage dissolution. The following will help test if a gentleman is an appropriate candidate for a Premarital Agreement. High Net Worth Individuals – For example, persons with a net worth over $250,000 USD in cash, stocks, bonds, mutual funds, ETFs, CDs and other investments. Property or Business Owners – Gentlemen with significant real property and tangibles such as rental income property, luxury automobiles, boats or yachts, or persons who own sole proprietorships, partnerships, small businesses, corporations or professional associations. Professionals – Gentlemen with professional degrees or licenses which are typically viewed as income-producing assets. Savers and Investors – Gentlemen with substantial savings in 401(k) plans, defined benefit retirement plans and profit-sharing plans, or want to protect current or future inheritances and gifts. Gentlemen with Children of a Former Marriage – Gentlemen marrying for a second or third time may want to ensure that the majority of their assets are passed onto their children of a former marriage in case.